Egypt's Olympic football team coach Shawky Gharib has announced a 27-man squad for the two friendly matches against USA and the Netherlands, as part of the Young Pharaohs’ preparatory camp in Spain later this month. The camp will kick off on 17 March, and the team will face the USA on 22 March before taking on their Dutch counterparts four days later. 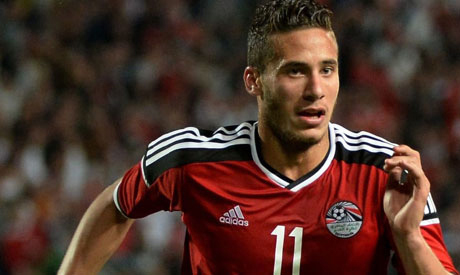 Ahly winger Ramadan Sobhi was the prominent name among the squad listed on Saturday, after his recent exclusion from the senior team squad that will play a 2019 AFCON qualifier against Niger and a friendly game against Nigeria. The former Egypt boss was appointed as the Olympic team coach for a second spell in January last year. His main task is to see Egypt qualify for the 2020 Tokyo Games. after the team missed the 2016 games in Rio de Janeiro. Egypt last took part in the Olympic Games in 2012, reaching the quarterfinals before losing 3-0 to Japan in Manchester.